“Link is the game’s protagonist, so I’ve always thought we need him to look cool. Yet, if we overdo it, the people playing the game might feel like they’re controlling an already accomplished hero, which I felt could get in the way of the players immersing themselves in the game. For that reason, this time I decided we should make Link a more neutral character in a variety of ways. “The Link of this game was to be a traveler from the frontier who exudes a sense of adventure, which is why there are a lot of designs that feature capes and bags. At the beginning of development we drew a lot of landscape concepts. 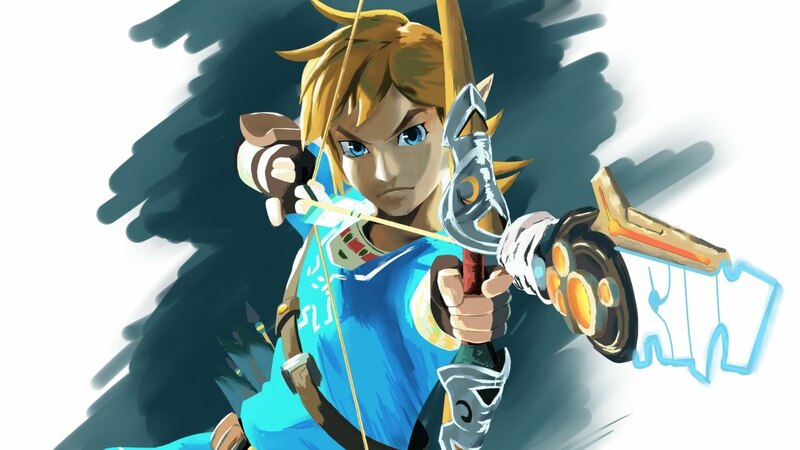 Link wearing blue clothes appeared pretty early on because the blue stood out against the backgrounds we were producing.